On February 9, 2012, winners of the 2012 Kidscreen Awards were revealed during a ceremony at the Kidscreen Summit in New York City. These annual awards pay tribute to outstanding content from around the world that entertains and engages children and their families. In total, PBS KIDS and PBS KIDS programs won five awards. 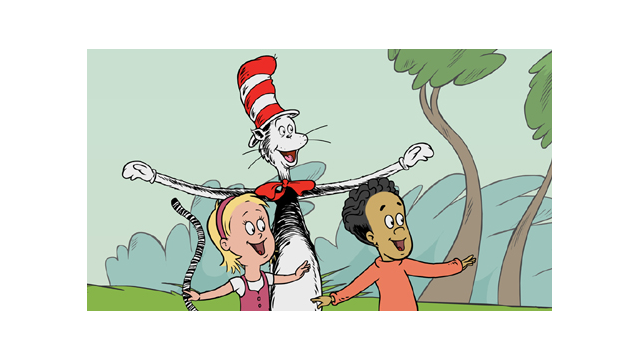 PBS KIDS received the awards for Channel of the Year, as well as Best Integrated Promotion for the launch of THE CAT IN THE HAT KNOWS A LOT ABOUT THAT!. In addition, PBS congratulates SESAME STREET, which was named Best Non-Animated or Mixed Series, Preschool, and also won the Best Animated Series, Preschool award for "Abby's Flying Fairy School." “Abby’s Flying Fairy School” also won for Best Preschool Program in the Viewer’s Choice category. Photo Credit: Series copyright 2010, CITH Productions, Inc. and Red Hat Animation, Limited. Underlying characters copyright 1957, 1985 Dr. Seuss Enterprises, L.P.